Once upon a time there was a guy named Jalapeno. He was British. His friends used to make fun of his name. They said his name made him sound like the diminutive version of a word used to describe an old car (His friends were smart, but they lacked the ability to make a good jab; that and they all drove jalopies anyway). This hurt Jalapeno, but he was a stoic British lad, and kept it all inside. He also thought to himself, "What good are my friends if they all drive beaters?" So, the next day, Jalapeno decided to tell them what for. And so, Jalapeno had no friends. But Jalapeno didn't care. He drove a nice car. It was a jaguar. That, and he got an invitation to a jolly good (as the host put it) social function in Lousiana. Jalapeno lived in Devonshire. However, he did always fancy America, and wanted to see what all the fuss was with cajuns and gumbo, and swamps. He also wanted to get a tan*. England would just not cut it. So he went to Lousiana and met a man named McIlhenny. In fact, it was McIlhenny that had invited him to Louisiana in the first place. It seems they both had funny names. 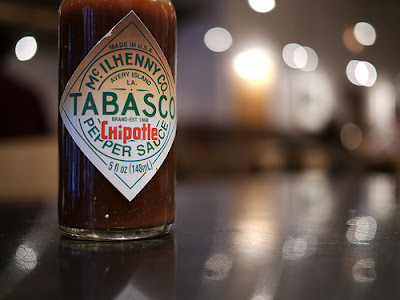 And, while they were chuckling and guffawing gaily about this obviously humorous connection (while at this social function), McIlhenny slipped something** in Jalapeno's drink. ** It was a ruffie. Just so there is no ambiguity. Michael Powers is a fairly cultured American with an eye for seriousness, but willing to entertain the occasional dabble into the surreal and the inane. His writing focuses on news, random stories, politics, and social issues with his own brand of cynicism, but always with a humorous or optimistic outlook.